The ceremony of the prestigious international award, Arctic Awards 2018, took place in Moscow on December, 1. The award, founded by Arctic World Club and the Polar association, is currently the only award granted to the most significant projects worldwide, promoting the development of the northernmost region of our planet. Among the winners of Arctic Awards 2018 there are merely 10 projects from one and a half thousands of applications. Among the best, there are brilliant scientists, business people, actors and philanthropists who have contributed greatly to the development of the Arctic and conservation of its unique ecology. The special nomination “For the best coverage of the Arctic and the Antarctic in mass media” went to the Arctic.ru project of Russia Today media agency. The website is the only information project of an international level devoted to the Russian presence in the Arctic region. The award was received by project leader Yulia Atayeva. The complexity of the Arctic issue was reflected in the short-list of Arctic Awards 2018 as well. Thus, the project of the Iceberg design bureau for the creation of an improved floating nuclear power plant for ice breaker ships, presented in the nomination “Prospective innovational arctic project”, is neighbored by a project for the recycling of radioactive waste in the Arctic remaining from the times of the soviet nuclear project, presented by the National operator for treatment of radioactive waste, presented in the nomination “Live nature”. T-MOSAiC project became an unrivalled leader of the award. The project is devoted to research of the Arctic shelf plate and the Arctic Ocean. The award was received by the only Russian expert, who, as admitted by all of his colleagues, is 10 years ahead of all foreign scientists – Sergey Kirpotin, head of the Center for the studies of the biota, climate and landscapes (BioClimLand) of the SUT. “I do not see this award as a personal achievement,” – said Sergey Kirpotin at the ceremony, - “I work in a team, I am supported by numerous people, which is most important. You know, there is a saying: “one man no man”. In the Arctic, a lonely person is not only “no man”, a lonely person cannot survive at all. T-MOSAiC unites like-minded people passionate for science and the Arctic, and I am pleased that the project has been so well recognized. The facilitator of the Arctic Awards 2018, the president of Arctic World Club and chairman of the board of Arcticmorgeo Sergey Egorov noted that such complex approach for the choice of nominations and projects allows to maximize the exposure of the wealth, diversity and the vast range of opportunities of the Arctic and demonstrate all of the most important relevant projects worldwide. “Our aim is to maximise the exposure of all spheres and aspects of Arctic exploration and development: from innovational and ecological, to historical and sportive”, - he said. Arthur Chilingarov, the President of the Polar association, world famous ocean scientist and the first vice-president of the Russian Geographical Society, stated the following: “Sergey Egorov is a resourceful person. All of his projects are destined to succeed. Not only due to his professional and skillful approach to things, but because of his devotion to every project”. And indeed, Arctic Awards 2018 considers not only innovational technological and ecological developments, but also unique cultural and educational polar projects. Such as the Russian Arctic national park (nomination “Knowledge is power”), which still features pristine natural landscapes and the largest bird breeding grounds in the northern hemisphere. A maximum of one thousand people visit the park per year, while the experience is just as powerful as a space trip. Or such as the “Polar classics” book series published by Paulsen publishing house (nomination “the Polar star”). The publishing house is the only one in Russia producing books about the Arctic and the Antarctic and publishing diaries and memoirs of famous navigators. The Arctic Awards 2018 ceremony, which took place within the framework of the Arctic Ball, was not merely a ceremonial event, but also turned into a communication platform where the nominees met personally with the famous judges of the contest and had a chance to socialize and tell about their projects in more detail. The award ceremony was attended by Vladimir Tretyak, Soviet hockey player, coach, Russian state official and politician, and by Alexey Nemov, Russian gymnast, four-time Olympic champion and chief editor of the Big Sport magazine. The event featured performances by Olga Kormuhina and Ethery Beriashvili, Bionca-Show of Alexey Frandetti presented a piece from the Cold Heart musical. It also saw a fashion show of the “Snow Queen” collection by Alena Akhmadoulina and show performances of the students of the center of gymnastics of Irene Winner-Usmanova. General media partner of Arctic Awards 2018 is Rossiya Segodnya media agency, international partner – Sputnik news agency and radio. Gifts to the laureates and participants of Arctic Awards 2018 ceremony were provided by the Pestovo international golf club and the Mauro Prato luxury men's clothing, shoes and accessories studio. 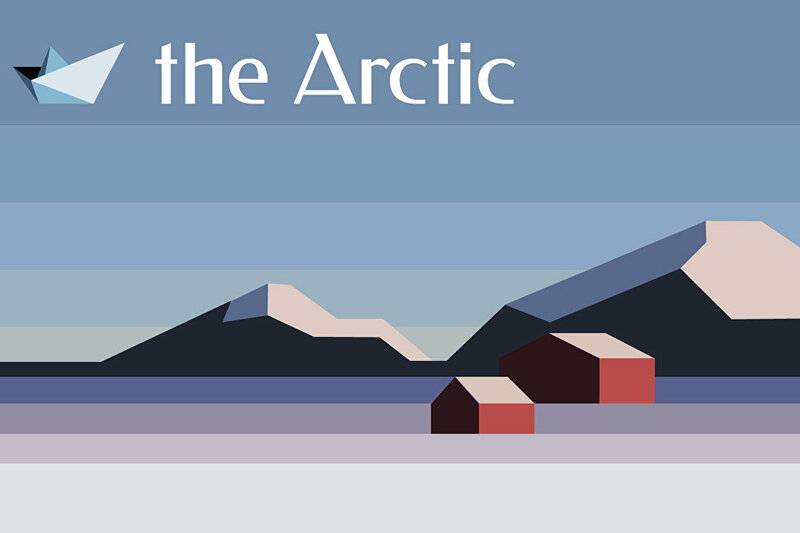 Arctic Awards 2018 international prize in the nomination “For the most promising and innovative Arctic project” goes to the Iceberg Central Design Bureau. Mauro Prato, an Italian brand specializing in luxury male clothing, joins the partners of Arctic Awards 2018 international prize. Paulsen Publishing, a laureate of Arctic Awards 2018 international prize, is taking part in non/fiction intellectual literature fair. The number of partners and like-minded peoples of the Arctic Awards is growing day by day. The other day they were joined by the INA “Rossiya Segodnya” and the International Agency and Radio Sputnik.